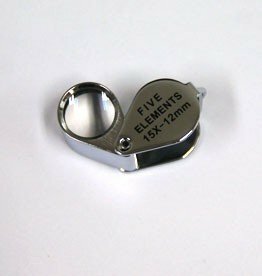 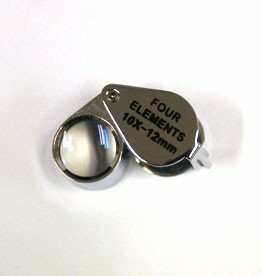 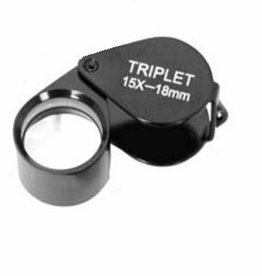 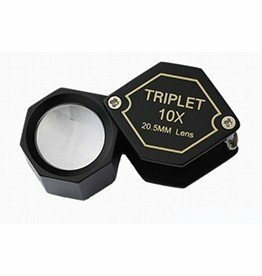 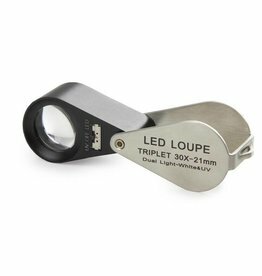 The Triplet Magnifier 10x with LED and UV lighting is a high-quality professional magnifier. 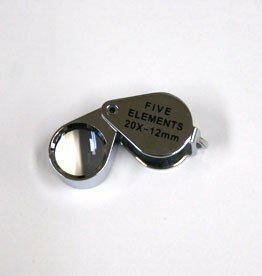 It is mounted in a beautiful chromed brass housing with a hanging eye for a cord. 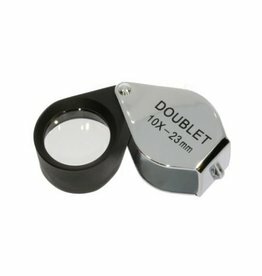 The lens mount is painted black.